A VOB file is normally known as a DVD Video Object file, and is one of the most common formats for storing video and audio streams on DVD discs. VOB files are a container, which consist of 3 things. They consist of video, audio and subtitle streams. AVI stands for Audio Video Interleave. AVI files are a common format for compressed video clips. Its advantage is a simple architecture, due to which AVI runs on a number of different systems like Windows, Mac, Linux, Unix and files downloaded from the internet often use this format. Top VOB to AVI video processing software to convert VOB to AVI and meanwhile compress VOB to AVI with much smaller file size for easier playback on media player. Why need change VOB video to AVI on Mac? You may have a bunch of VOB files stored in your Mac either decrypted from commercial DVDs or copied from homemade DVD videos. If you want to change the video format from VOB to AVI for convenient playback on Quicktime, Xbox 360, Zune, PS3 and more devices, edit AVI videos with video editing programs, or create the final AVI from the multiple VOBs for uploading to web. 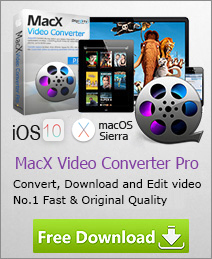 If so, MacX Video Converter Pro can help you indeed. This far-famed VOB video transcoder features the ability to easily convert VOB to AVI on Mac up to 83x faster speed while original image quality preserved. In addition to VOB to AVI conversion, it also allows you to compress VOB to AVI with even smaller file size by its video editing feature (trim, crop, etc.) and parameter settings adjustment (Bit rate, frame rate, video codec, resolution, etc.) to better playback AVI video on media player or mobile device. Note: Here tasks VOB to AVI conversion on Mac OS for example. If you are using Windows OS and want to decode VOB to AVI format, you can refer to HD Video Converter Pro for Windows here. Keep in mind that VOB on DVD are sometimes encrypted. If you can't decrypt or rip DVD in VOB file, please use DVD ripper to strip DVD encrypted enclosing. Follow the guide below and learn about how to change .VOB to .AVI format on a Mac. 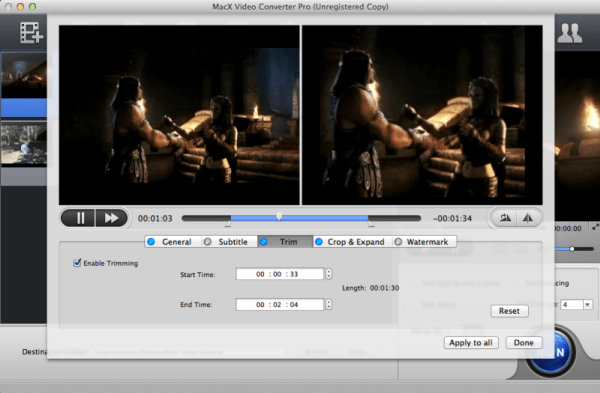 Free download this Mac video transcoder and fire it up. Then add VOB files, you can just drag your videos from the DVD folder or click the "Add" icon to load the VOB movies. This application also enables users to edit video before conversion. Simply click the Edit button to enter the video editing interface, where you can optimize your video by trimming, cropping, adding subtitles, adding watermarks, etc. to create your personalized video. 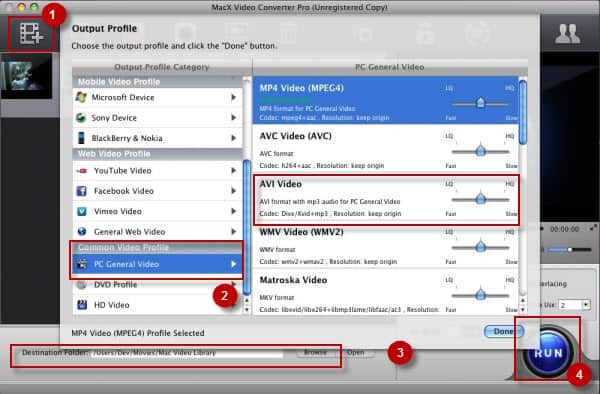 Navigate the output formats in the Common Video Profile > PC General Video to set AVI Video as the output video format. You are also allowed to apply it to convert VOB to MP4, MOV, AVI and other format as you like with the program. Click "Browse" button to choose the path where you want to save the AVI file in. Hit the "RUN" button to start decoding VOB format to AVI on Mac. The conversion time depends on the size of the VOB files and your computer hardware specs. When then conversion completes, you can get the AVI videos to be used more flexibly.